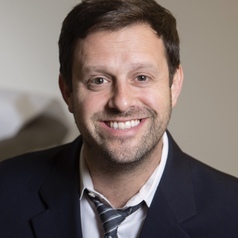 Recognizing health status is influenced by a vast and interconnected set of determinants, Dr. Matthew Lee Smith has devoted his career to create synergistic partnerships and initiatives to encourage positive lifestyles and reduce rates of preventable morbidity and mortality. As an evaluator and survey methodologist, he has initiated many projects to better understand risky health behavior and develop scalable interventions to evoke behavior modification. Dr. Smith’s involvement in local, state, and national evaluation initiatives have been integral to foster understanding about the reach, adoption, implementation, effectiveness, and maintenance of different evidence-based programs. His ability to form interdisciplinary collaborations affords him opportunities to apply his translational research and evaluation experience to bridge research and practice issues among the healthcare sector, aging services network, and public health system. Dr. Smith is the Co-Director of the Texas A&M Center for Population Health and Aging and holds faculty positions in the Texas A&M School of Public Health and University of Georgia College of Public Health.